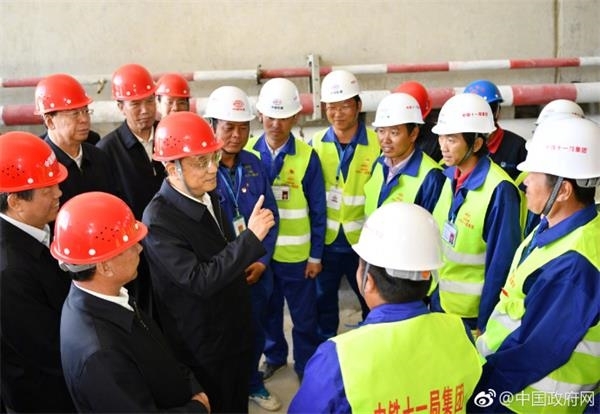 After arriving at Lhasa Gongga Airport on July 26, Premier Li Keqiang went straight to the construction site of the Lalin section of the Sichuan-Tibet Railway in Shannan City to investigate the exploration design and construction progress. 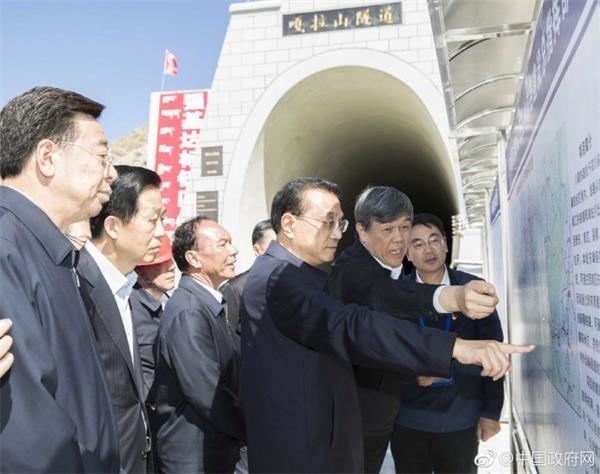 Li Keqiang walked into the Jura Mountain Tunnel at an altitude of 3,500 meters. He squatted twice and carefully inspected the construction quality, demanding strictness and perfection. 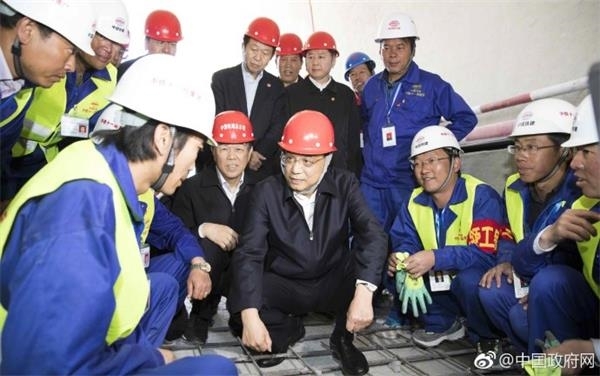 The Prime Minister said to the construction workers that the altitude here is very high, and it is all weight-bearing when standing still. Moreover, you must work harder and must take care of your body. Li Keqiang emphasized that the Lalin Railway is an important section of the Sichuan-Tibet Railway. After the completion of the Sichuan-Tibet Railway, it will become another major artery leading to the interior of the world after the Qinghai-Tibet Railway. It will not only bring the space and development distance between Tibet and the mainland closer, but also bring them closer to each other. The Sichuan-Tibet Railway is of great significance to the development and ecological protection of Tibet. It is not only the hope of the Tibetan people, but also the wish of the people of the country. To accomplish this task, the responsibility is great and the mission is glorious. I hope that you will build this railway into a quality project with quality and quantity, and it will stand the test of history. 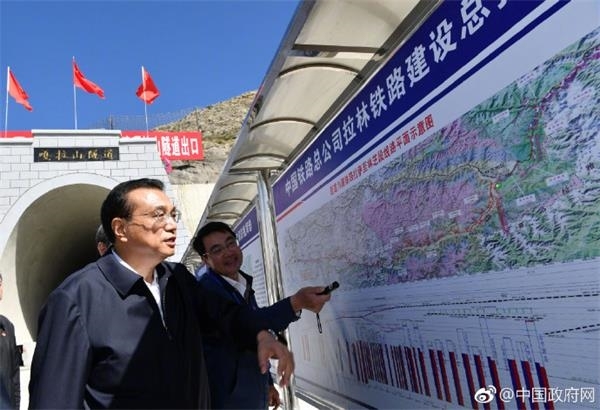 On July 26, Premier Li Keqiang inspected the construction site of the Lalin section of the Sichuan-Tibet Railway in Shannan City, Tibet Autonomous Region. The Sichuan-Tibet Railway is a key project of the National 13th Five-Year Plan, with a total investment of 270 billion yuan. It has already started to operate on the whole line. Li Keqiang said that the Sichuan-Tibet Railway is not only the hope of the Tibetan people, but also the wish of the people of the country. Its investment and construction will drive huge economic and social benefits. It is an effective investment project that we have already identified and will build sooner or later. China's current development is unbalanced, and infrastructure construction in the central and western regions lags behind. It is necessary to speed up the filling of this short-term, accelerate the construction of infrastructure in the central and western regions by expanding effective investment, and gradually narrow the development gap in the eastern, central and western regions. 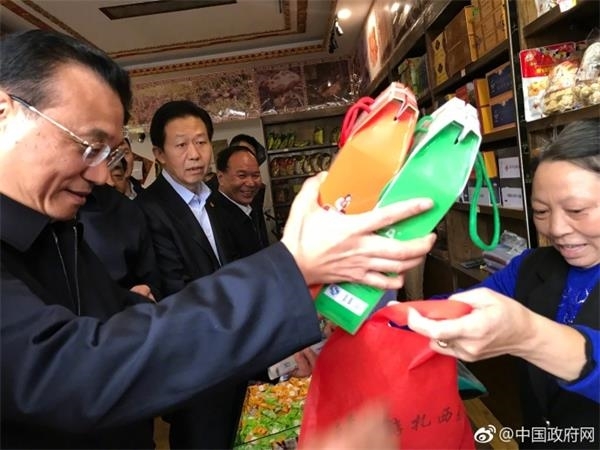 When Li Keqiang was inspected in Linzhi, Tibet on July 26, he randomly walked into a small ethnic shop on the roadside. The shelves of the shop are filled with daily foods that are essential for people living in Tibetan areas such as Qinglan butter tea and Tibetan sweet tea. According to the owner, these foods are not only popular among local people, but also popular among tourists. Li Keqiang immediately said that he would buy a box of barley butter tea and a box of Tibetan sweet tea. The owner hurriedly said that he would not need money and donate money to the prime minister. Li Keqiang smiled and waved, we traded at fair prices. The Prime Minister paid 116 yuan. Before leaving the house, the Prime Minister said to the owner, I hope that you will sell more Tibetan specialties to the whole country and the world. I wish you a prosperous business, Tashidler!